1998: The good design and quality construction combined with the long experience and recognition in the Greek market are also proved through the acquisition of the quality certificate ISO 9001. 2000: Strong wind of change and renewal through new partnerships with famous brands, but also new collections with new products and ranges. 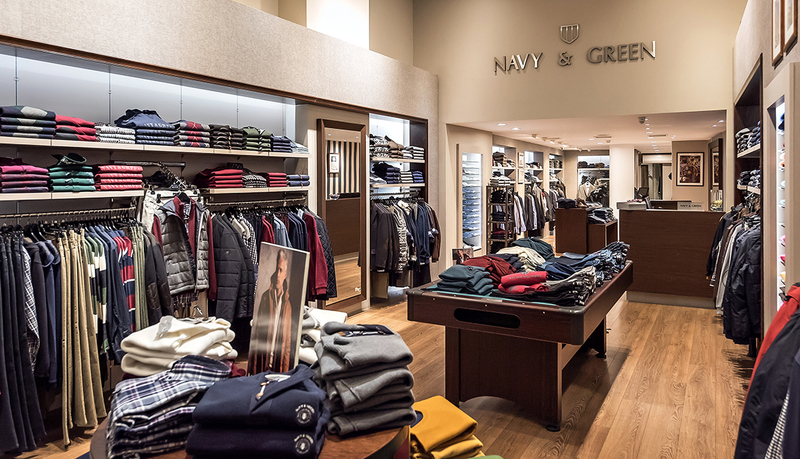 The distribution network expands throughout Greece, with the consolidation of the maximum quality of the products and services offered to the customer both wholesale and retail. 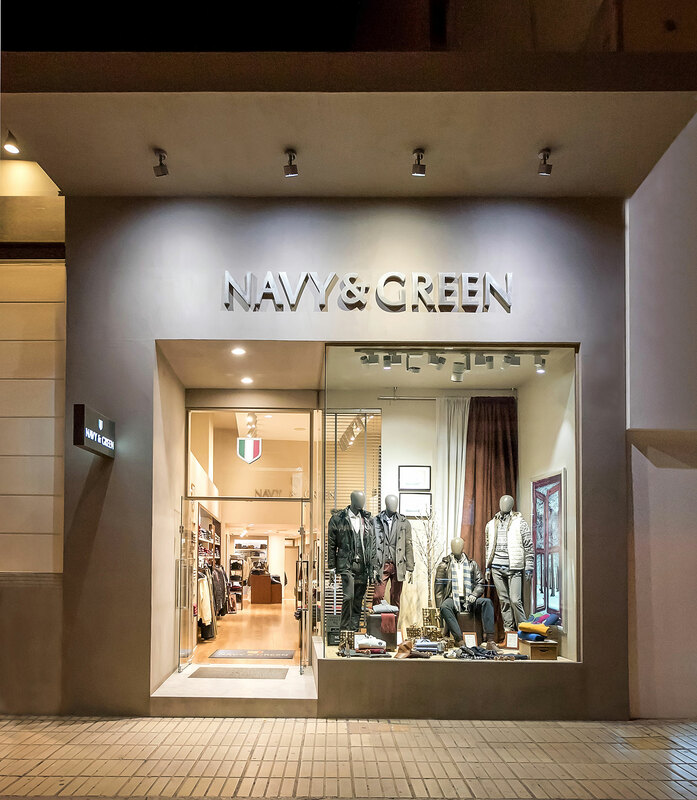 Furthermore the year 2000 was marked by the new dynamic reorganization of the company, as well as by new partnerships with famous brands such as Givenchy. 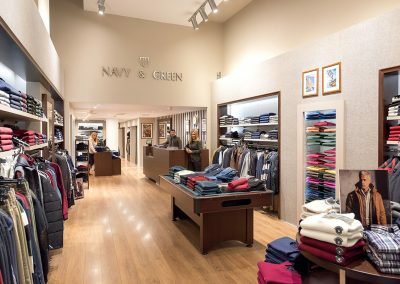 2003: Dynamic promotion of collections to even more stores throughout Greece, to new shops in shop, but also participations in the context of international cooperation in retail outlets of famous brands. 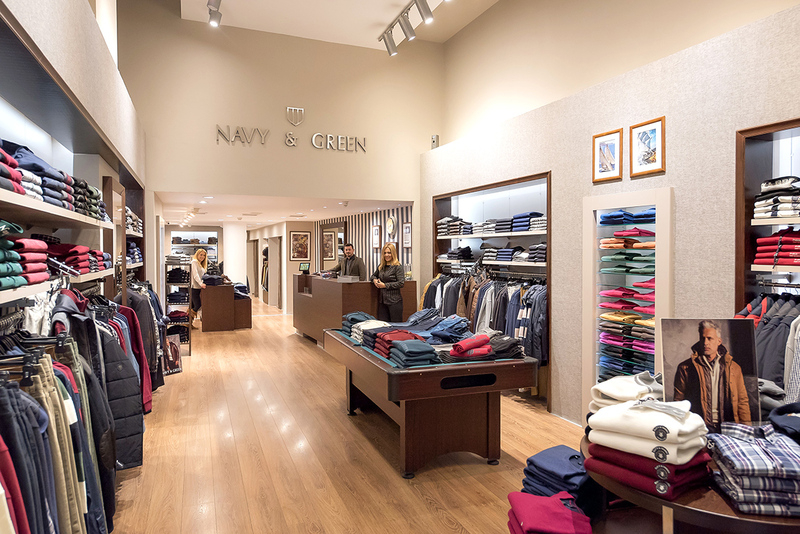 2010-11: The brand NAVY & GREEN has been established in the market of men’s clothing, achieving the expansion of retail outlets by opening stores at MEDITERRANEAN COSMOS in THESSALONIKI, NOTOS GALLERIES in THESSALONIKI, McARTHURGLEN DESIGNER OUTLET in SPATA. 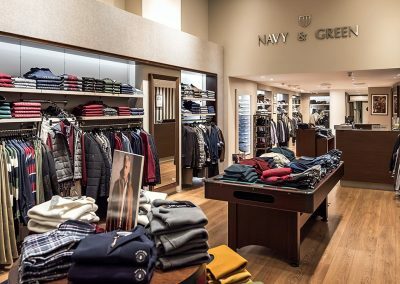 At the same time, it creates new partnerships with selected stores in men’s clothing throughout Greece, while it always maintains a “live” relationship with its customers. 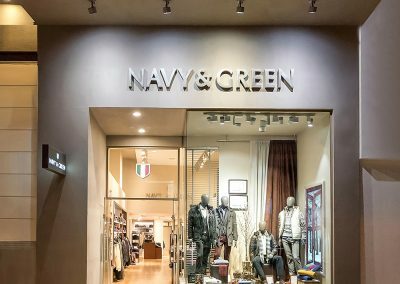 2012: The brand Navy & Green adds another member to its family, opening the flag shop, on the 2nd floor of the shopping center «The Mall Athens», in Maroussi.